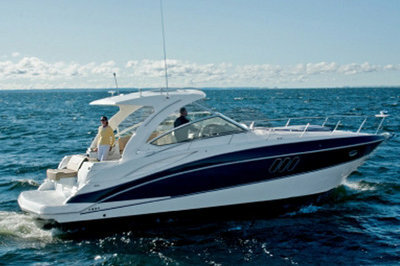 Continue reading for more information on the Cruisers Yachts 380 Express. 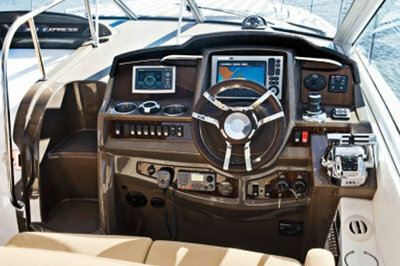 Completely re-imagined, the innovative new open-cockpit design takes full advantage of the 380’s large beam. 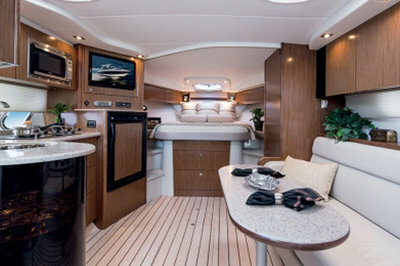 With an enormous U-shaped lounge that cradles you in comfort and luxury. Soft—yet supportive—multi-density foam seating covered in supple premium vinyls is accented with color-coordinated French stitching that surrounds you in elegance. The wet bar is adorned with solid-surface countertops that perfectly accent the stainless steel pedestal sink. 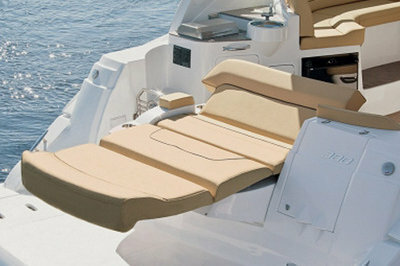 Optional seating such as the power rear fold-down sun lounge and chaise make worshipping the sun effortless. 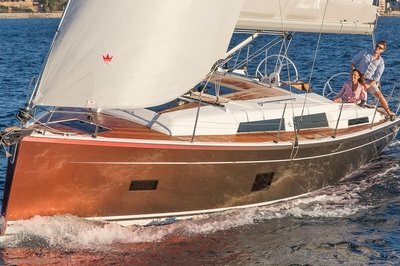 And amenities such as your choice of a cockpit refrigerator or ice maker, electric grill, and air conditioning ensure the 380 enriches every pleasurable day you’re aboard. 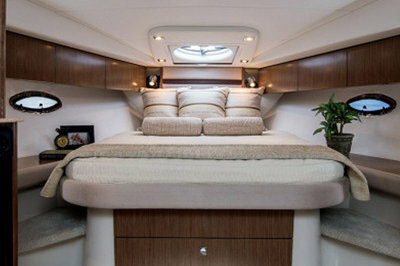 With a queen-size island berth usually not found in yachts of this category, you’ll love access to either side of the bed and an inviting cushioned headboard. Also included is a large hanging locker and numerous cabinets for extra storage. A unique "tucked away" privacy curtain is standard, or select the optional full bulkhead and door.